Integrated absorber design with good cable management solution,convenient to discharge and install timely..
Three levels alarm system, visual and sound alarm information. Built-in backup battery provide the emergency power supply to the unit. Low O2 pressure alarm and N2O cut-off protection. 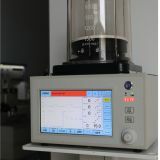 Display:8 " TFT, with touch screen. Safety Pressure:Does not exceed 6 KPa. 15 s sustained when an alarm is triggered. Negative pressure alarm:Airway pressure is less than (-10) cmH 2 O. Gas deficiency alarm:less than 280 kPa. Low battery alarm: Time is 20 min. Alarm battery is exhausted: time is 10 min. 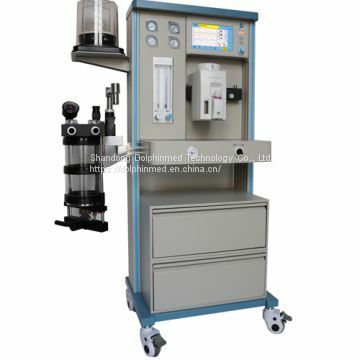 Driving gas:O2 or Air,Inlet pressure,280-600 kPa.Max flow ≤ 120 L / min. 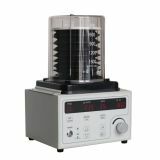 CO2 Absorber：Twins canister,2 L volume for sadalime,wth no-return respiration valve and inspiraition valve,avoid gas back flowing. Bellow：Adult bellow（300-1800ml） and pediatric bellow（0-300ml）. 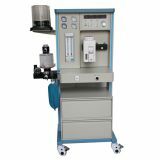 Dolphinmed is one professonal producer of ICU ventilator, anesthesia machine, medical air compressor, anesthesia vaporizer, Anesthesia Workstation, veterinary anesthesia machine, etc. 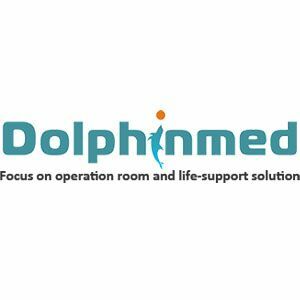 Dolphinmed are committed to provide the more perfect products and service for clients, to be the most valued medical equipment enterprise. 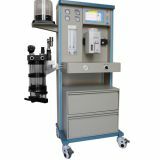 INQUIRY ABOUT ANESTHESIA MACHINE MODEL：DA2000Shandong Dolphinmed Technology Co., Ltd.